Mumbai (PTI): Nearly 200 Byculla Jail inmates, including Indrani Mukerjea, the prime accused in the Sheena Bora murder case, have been booked for rioting and other offences following the death of a woman convict. Manju Govind Shette (45), a convict, died at the government-run J J Hospital on Friday night after allegedly being beaten up by a woman prison official. Subsequently, six jail staffers were placed under suspension and yesterday police registered a case under IPC section 302 (punishment for murder) against them. Following Shette’s death, over 200 women inmates of the jail were up in arms since Saturday morning. Some inmates on Saturday climbed atop the roof of the jail while newspapers were torched inside, a police official earlier said. The inmates alleged that Shette was beaten up by a woman prison official. They wanted to present the issue before the media which is not permissible under prison rules, he said. 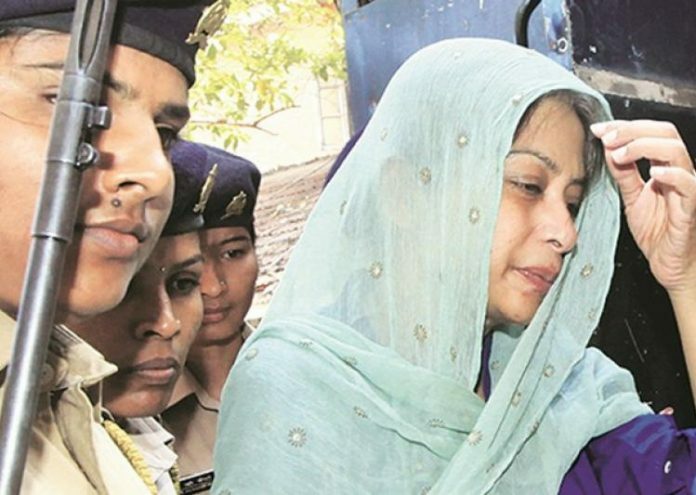 Indrani, who is lodged in the Byculla prison, is among the 200 inmates against whom a case was yesterday registered for rioting, unlawful assembly, assault on public servant and other relevant sections under the Indian Penal Code, a police official said today. The jail houses around 251 women prisoners.